For Your Lifestyle: Appliances - Better Form AND Better Function - Distinctive Advisors Inc. Whether you’re planning on staying in your home for years to come or selling in the near future, these trends for your home make great selling features while saving you money on utilities in the meantime. 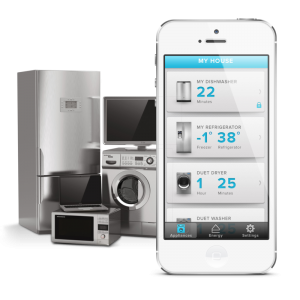 There is a demand for smarter homes in general, but appliances play a large part. 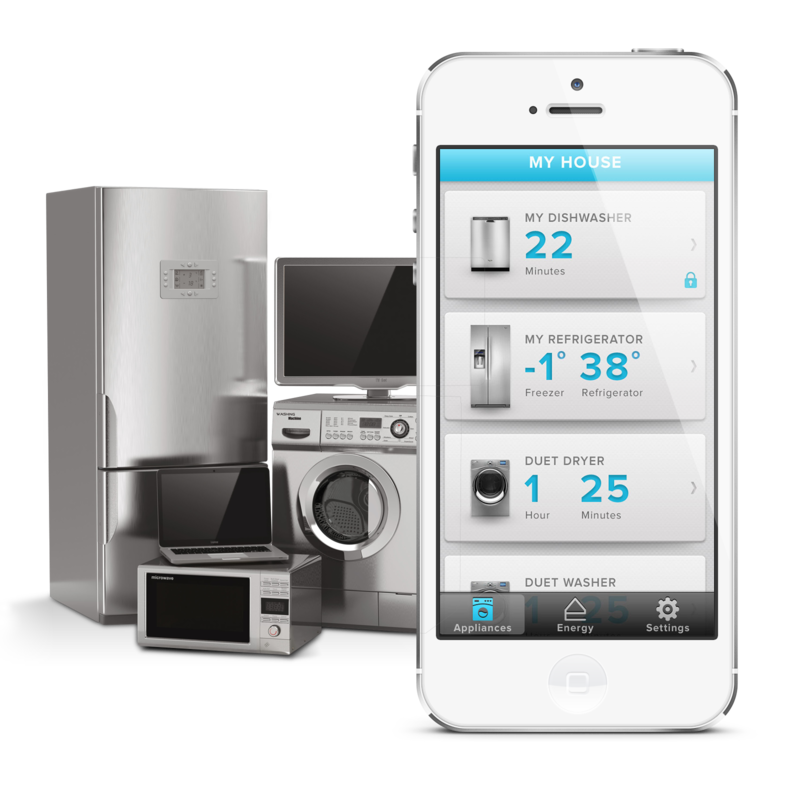 Recent advances in appliances let you communicate with your home remotely: whether starting your dishwasher during off-peak hours when you’re out and about, or adjusting your thermostat on the fly to save on heating costs. Switching your appliances is a good move from a resale perspective, a cost-saving perspective and an environmentally conscious one. For years now, stainless steel appliances have represented the high end look in the appliance market, but many consumers have noted the difficulties keeping their appliances looking clean and “fingerprint-free”. 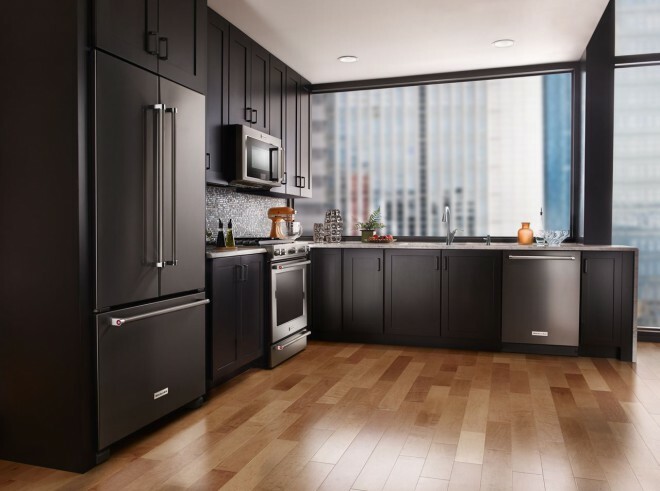 The big players in the appliance industry have responded and, for that high-end feel, there are several new finishes available: pearl white, grey slate and black stainless steel. These finishes give a high-end look and feel, have the ability to hide fingerprints better and in some cases come with a “smudge-free” coating. 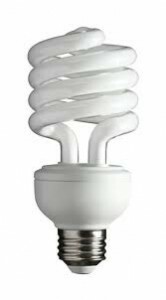 By now, most people practice some degree of energy conservation in their homes; either by turning off the lights, setting the thermostat to a program or using LED light bulbs throughout the home. But the biggest user of electricity in the home can be older appliances that are no longer energy efficient. Getting rid of older appliances and replacing them with newer, more efficient ones will decrease hydro costs while making your home more attractive to potential buyers. And while you’re at it, change the bulbs inside your appliances to LED bulbs to give yourself that extra “green” edge. Buyers are more environmentally conscious than ever, and with the cost of hydro ever-increasing, many buyers are looking for ways to save money on their monthly expenses. Equipping your home with newer, energy efficient appliances will give your potential buyer the peace of mind that they won’t have to replace old appliances in the near future. And with new finishes also available from the big names in the appliance industry, your home will shine, capturing the attention of potential buyers and making your home stand out. Are you thinking of listing your home for sale in the near future? Contact us to find out how we can help you find the right buyer and the best price with our targeted marketing approach to real estate.